Ben Hofland has moved from London back to the small Shropshire town where he grew up, with his eleven-year-old son, following the discovery that his wife was having an affair with one of Ben’s old friends. DI Imogen Evans has fled her own demons in London and is now fighting a sleepier variety of crime with the West Mercia Police. Until, that is, bodies begin to show up, and both Ben and Imogen find themselves at the centre of a string of murders that are seemingly unrelated, but which have all, obviously, been carried out by the same man. In a race against time, Ben and Imogen must pool their resources before one or both of them ends up as the next victim of the so-called Shropshire Viper. There has, for several years now, been a lot of hype surrounding Mark Edwards and the edge-of-the-seat thrillers he produces at a fairly regular rate. It’s hype that I’ve largely ignored, despite owning copies of some of Mark’s earlier novels. And I have to say, now that I’ve taken the time to read The Lucky Ones, it’s hype that I have ignored at my own cost. The Lucky Ones takes us to small-town Shropshire, and presents us with two central characters who don’t really belong here: on the one hand, we have Ben, who fled to London as soon as he was able, and has now returned in the hope of giving his young son something approaching a normal life; on the other hand, Imogen is a complete outsider, a detective who has fled her high-profile London Met position to fight crime in the rural West Midlands. Interestingly, it is the outsider who is having more luck settling into this new life, while Ben struggles to find work; is dealing with the slow deterioration of his mother’s health; and dealing with the difficulties of raising a child as a single parent when that child is hostile to his new environment, and the developing situation between his parents. Into this mix comes the Shropshire Viper, a man who has already killed three times, pumping his victims full of morphine and leaving them in the open to be found, with a smile on their faces. Here Edwards proves to be a master of sleight-of-hand, using the fact that morphine is a controlled drug to immediately suggest a small group of potential suspects. To help with this distraction, Edwards presents the story from a number of points of view: that of Ben Hofland, whose very presence in the story makes him, in the mind of the reader at least, a potential suspect; through the eyes of the killer, though in a way that never reveals his or her identity; and from the point of view of Imogen and her team of detectives as they try to piece together the scant clues they can find to identify the killer or, at the very least, a list of potential suspects. Edwards’ writing style is engaging and makes The Lucky Ones difficult to put down once you’ve started. The inevitable sexual tension between the newly-single Ben and career-focussed Imogen is, I felt, overplayed and distracts from the story’s main driving force, though never to the extent that it becomes unworkable. In many ways, The Lucky Ones is about human relationships, as becomes clear as the motives of the killer begin to reveal themselves, and while the relationship between Ben and Imogen makes sense in the grander scheme of things, it is Ben’s relationships with his son and his estranged wife that feel most vital. 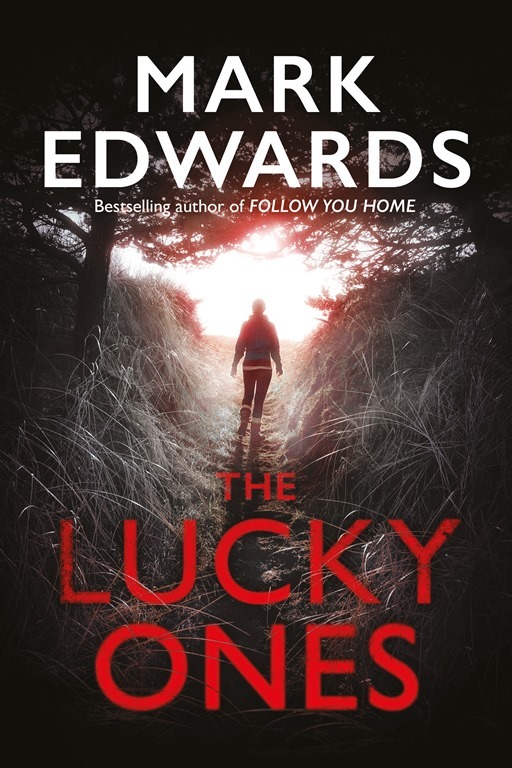 What is most impressive about The Lucky Ones is the way in which Edwards can construct a mystery that leaves the reader completely in the dark until the big reveal at the end. It’s a pleasant surprise to reach the end of a book like this only to discover that the author has managed to guide you to the wrong path from the outset but still leave you satisfied with the end result. So, what have we learned? Well, sometimes the hype is true, and that is definitely the case with Mark Edwards. The Lucky Ones is an engrossing and thought-provoking puzzler that manages to get under your skin. Clever and deftly-plotted, it’s one of the better crime novels you’ll read this year, and leaves the reader wanting more. I, for one, will be dusting off Mr Edwards’ backlist while I await his next offering. I can’t recommend this highly enough.